Okay, I already mentioned our wedding registry once this week and I feel like it is a potentially sleep-inducing topic for most of my audience. So let's just skip to the chase. 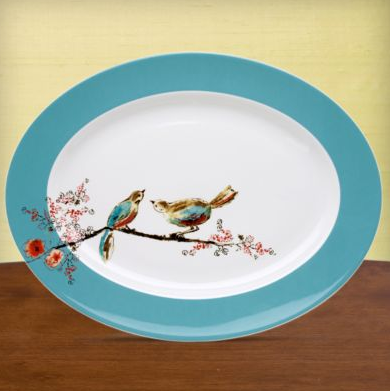 How insanely sweet is this China pattern? P.S. You probably won't be hearing much from me today... we're (fingers crossed!) closing on our house today! There will be much celebrating--hopefully the kind that involves sushi. Those are ADORABLE! I love them! Good luck w/ the house today! yaaay! congrats! can't wait to see pictures! LOVE the china! so sweet. And good luck today!! Good luck today!! I hope that you do not get salmonella from the sushi. Salmonella salmonella salmonella. Never gets old. Also, I'd feel guilty eating off those plates. I'd find myself apologizing to the little birds "Sorry, guys, sorry - I know mashed potatoes are hot - but I have to eat you know?" good luck today! oh, and i love that last plate! VERY cute! But it doesn't look like "wedding china." I like that! Did you officially register for it? YAY! 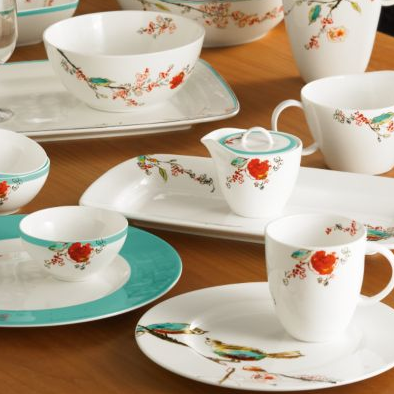 It's really the prettiest china patterns ever. OMG I love it. I want to have it's babies! I ADORE that china, seriously. I have it bookmarked on my browser and often go visit it just b/c I know I'll never own it LOL! It's sad really. I hope you get it, you will be such a lucky lady!!!!! oh those are adorable. don't know if i'd be able to talk matt into those, haha. Um, had I known china was that delightful, I would have totally registered for some. That is actually, ridiculously cute! I can just imagine a lovely Sunday Brunch spread with it too! Perfect for entertainig! 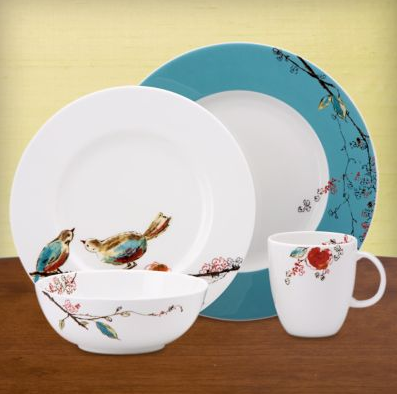 I love that China Pattern...I may register for it...for my birthday ha!